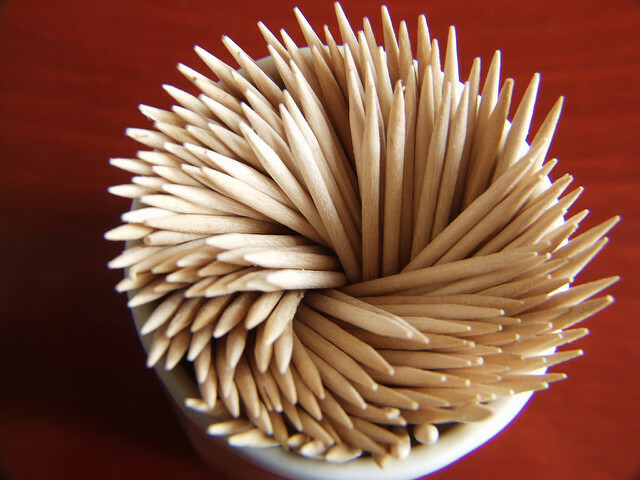 Toothpicks seem so innocent. Whether staking down juicy sliders on game day or harpooning fruits bobbing in happy-hour cocktails, the mini skewers often spike our festive occasions. But, make no mistake, they have a vicious side. Given the chance, they will mess you up. A new case study in the New England Journal of Medicine lays out some of the gory details behind those stats. A team of Boston doctors tell the woebegone tale of an unnamed, 18-year-old professional athlete who unknowingly swallowed a wooden toothpick. After weeks of abdominal pain, multiple visits to emergency rooms, bloody poops, and a life-threatening infection, doctors finally discovered it—lodged in his colon, piercing through his intestinal wall and into a neighboring, large artery….